Act! Archives - Twelve/Three Marketing, Inc.
Join us every Tuesday morning at 9:30 am (Eastern time) for free Act! Training. 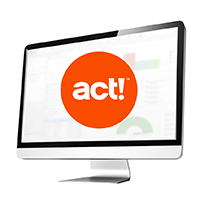 We focus on a new feature of Act! each week. After a few sessions, you’ll be a pro! An Act! Premium subscription is an annual maintenance & support agreement between you and Swiftpage. 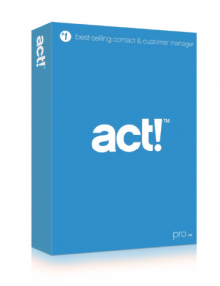 For one fixed price per user, you are qualified for the latest patches & updates of Act! as they are released. You also get unlimited free support directly from Swiftpage for as long as your subscription is active. Please note that while on this plan, you will be required to renew your subscription after the year expires, or else your database registration will lock up. If you’d like a permanent license that doesn’t require annual renewal, then please see the Act! Premium Perpetual License. The support contract is increasingly important in today’s world of whirlwind Windows Updates & Microsoft Office versions. 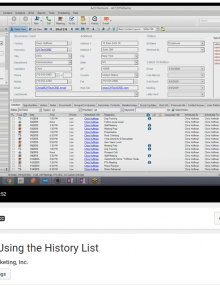 Microsoft has a tendency to push out new features very regularly and Swiftpage works hard to keep pace. Having an active subscription gives you the peace of mind that you will always be able to upgrade to the latest patches & fixes immediately as they become available.